The structure consists of two apartments, both on the ground floor, known as "La Stalla" and "La Vecchia Dimora". 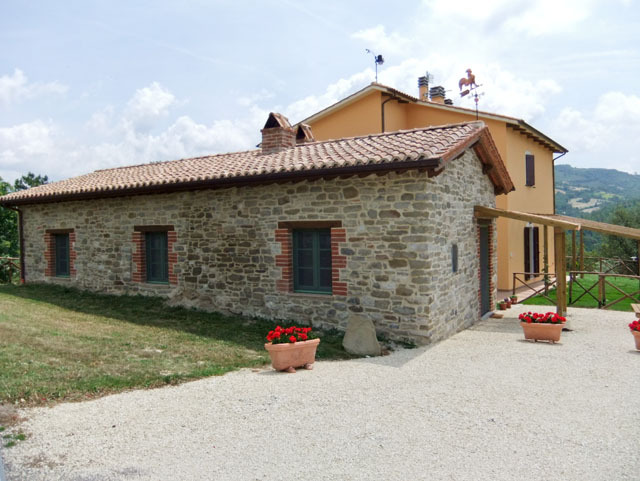 "La Stalla" has a fully equipped kitchen that offers all comforts, with a characteristic fireplace and a pellet stove, one double bedroom and a twin bedroom, a bathroom with shower. Included you will find bed linen and towels (for the colder seasons are provided winter blankets). All this is accompanied by the warmth of the wooden roof. 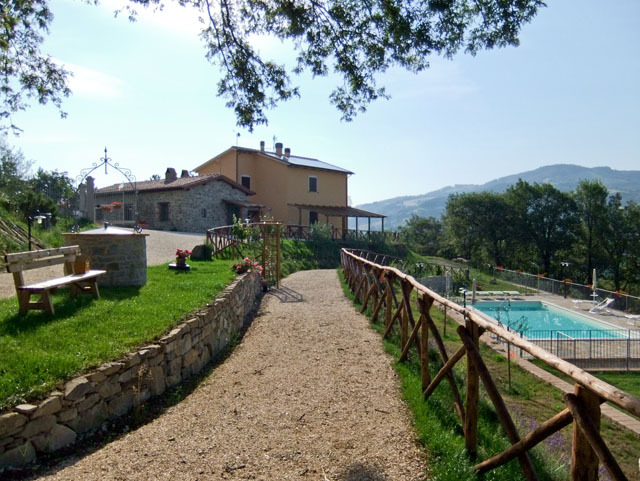 "La Vecchia Dimora" has a large living room, fitted with fireplace and kitchen, the latter offers the opportunity to make lunches and dinners for one group in case of renting the whole property. There are also two comfortable bedrooms, one double and one twin, there is also a sofa-bed for two more sleeping accommodation. The bathroom has a shower box. 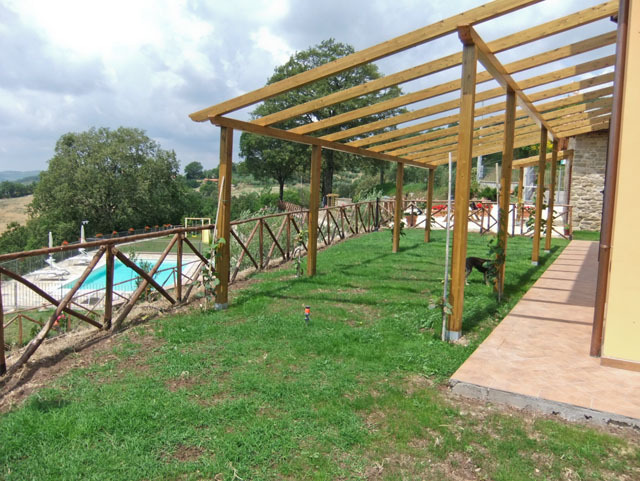 The swimming pool is exclusively for tourists, with salt water, and is placed in a panoramic position, can be accessed through an easy walk, which skirts the entire southern part of the farm, or alternatively through the steps leading to the green area equipped to playground. The area adjacent the pool is fully tiled in local stone and lined with iron railings. There are four sun umbrellas and deck chairs. At tourists disposal there is an ample parking with automated gate.